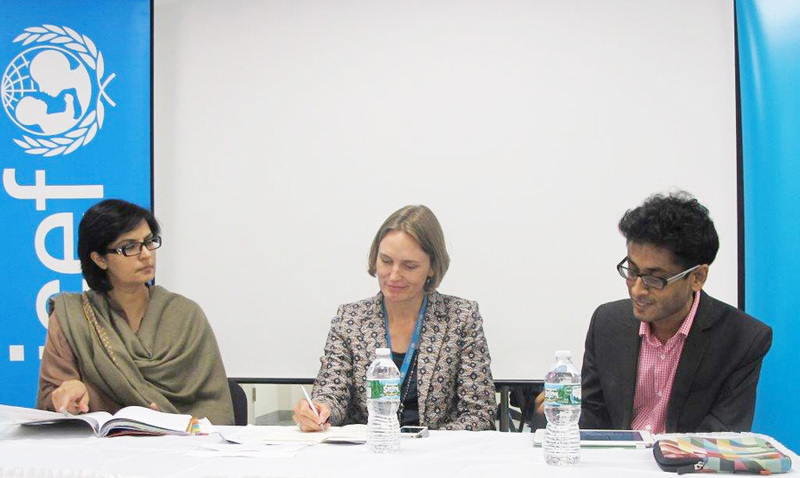 October 3, 2013: Our President Sania Nishtar was at UNICEF headquarters in New York last week for a “Conversation with Thought Leaders” in their Series. The objective of the Conversations event is to convey, through discussions with leading thinkers a better understanding of global trends shaping the contemporary world and its future. The Conversations foster a debate with UNICEF staff and beyond, and help position its work within this broader context.